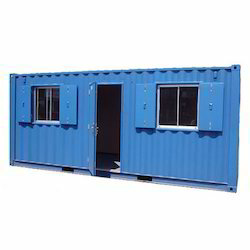 Providing you the best range of portable bunkhouse cabins, metal bunk house, portable bunkhouse, portable bunk house, bunkhouse cabins and bunk house with accommodation with effective & timely delivery. 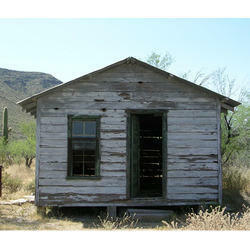 We have acquired noticeable position in the market by providing a best collection of Portable Bunkhouse Cabins. All portable units are designed using the premium grade components and sharp edge technology. Our houses are highly applauded in the market due to finest body and enough inner space. 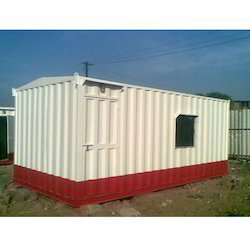 Also we supply portable cabins as per the requirements of the patrons. 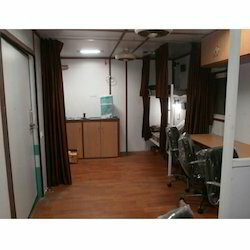 D Porta Fabrotech Pvt Ltd is a leading firm engaged in Manufacturing and Supplying Portable Cabins, Portable Toilet Cabins, Portable Cabins for Truck and Modular Office Cabins. Backed by experience creative engineers and completely technical production unit, we are consistently offering an array of Portable Bunkhouse. These houses are designed using the best water proof inputs and sharp cutting tools & machinery. Our portable bunkhouses are accessible in fine interiors that meet on diverse demand put by the consumers. 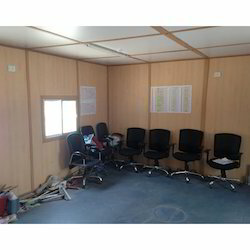 Owing to accurate and hard construction our fooding bunkhouses are highly demanded in the constructional areas. 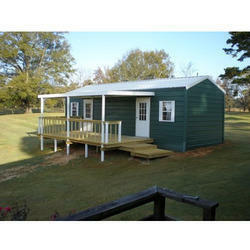 We provide the best quality range of Bunkhouse Cabins which is precisely fabricated for several essential requirements. Our products are known for their quality, sustainability and performance. These are available in superior pattern for easy installation. Our products are high in demand and are provided to several domestic clients at the beneficial market prick range.